The Senior Gaelic Football team broke new ground over a week in early March. Having already qualified for the North Leinster final, the team were convincing winners against Mullingar. The team then qualified for the Leinster play-off against Baltinglass. In a much tighter encounter, the team displayed admirable grit and teamwork to eke out a two point win and a semi-final place. 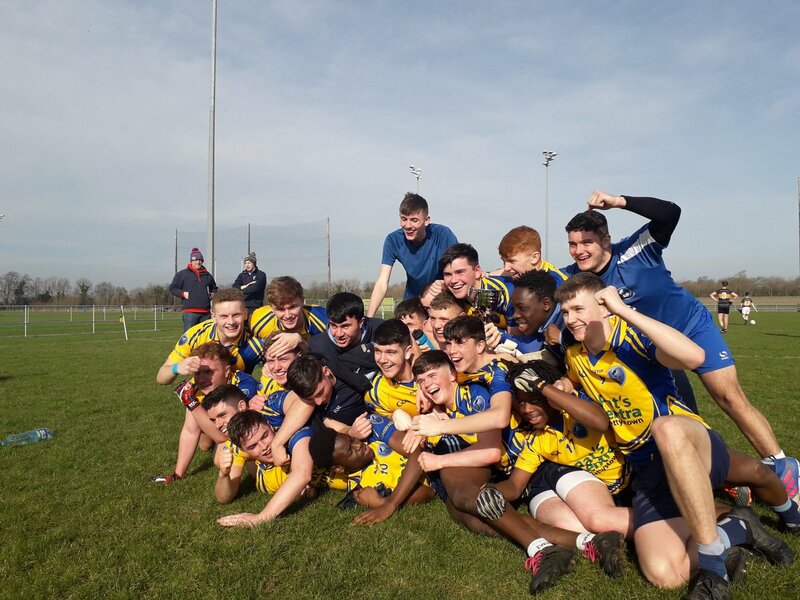 The All-Ireland semi-final against Boherbue Comprehensive School of Cork was the team’s third game in six days (with many players representing their club sides during the week as well). A slow start saw the team fall seven points behind, but the team showed the fight, determination and skill that has characterised their campaign to fight their way back into the match. However, they were unable to draw level, and lost narrowly. Congratulations to the team on a fantastic season as they progressed further than any previous CNI team.